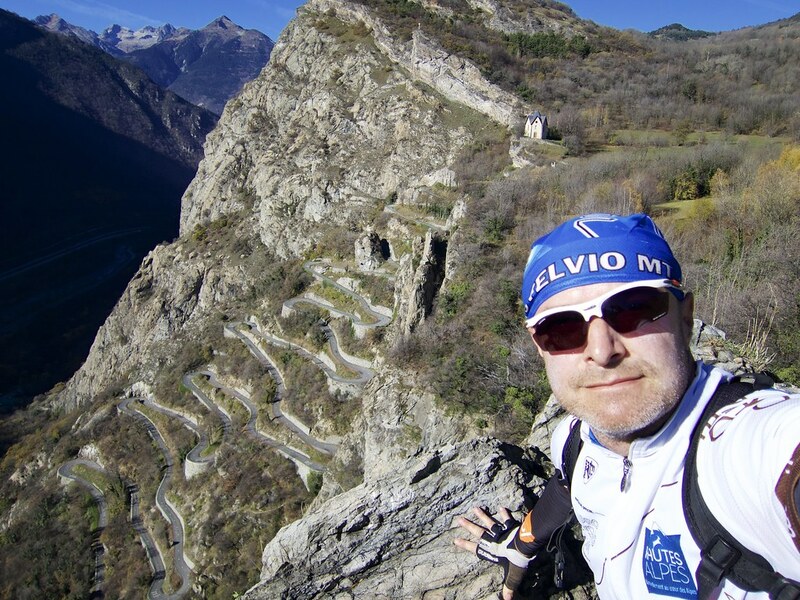 There is “heat wave” in the Alps at the moment so I decided to take advantage and visit one of my favourite routes in the Maurienne Valley. 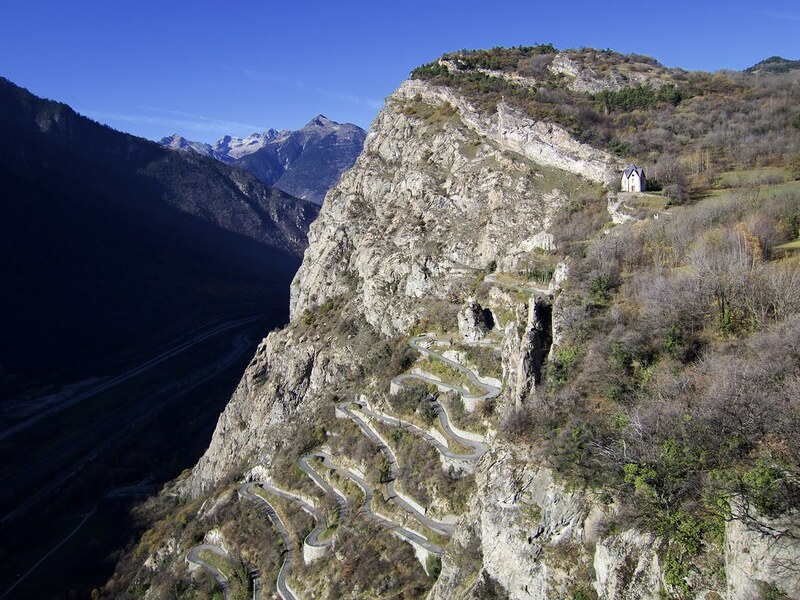 This summer, Les Lacets (hairpins) de Montvernier made its Tour de France debut, revealing this great “secret” road to the unwashed masses. 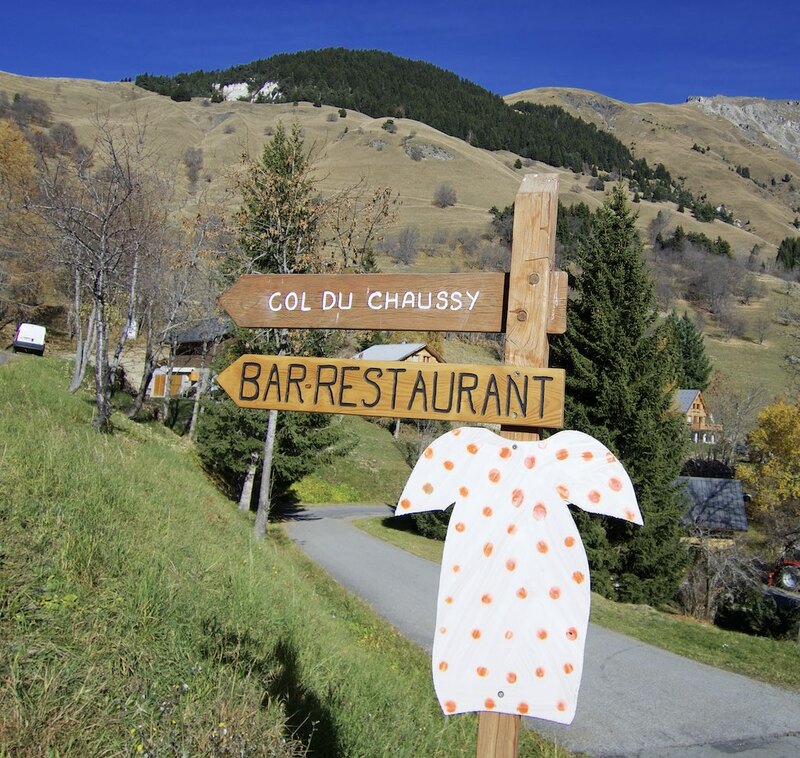 It’s a beautiful series of 17 hairpins, but – a warning – it’s perhaps only 20% of the way up the challenging Col du Chaussy. The far side of the Col used to be a gravel road, but was nicely paved a few years back. It’s narrow, but smooth. 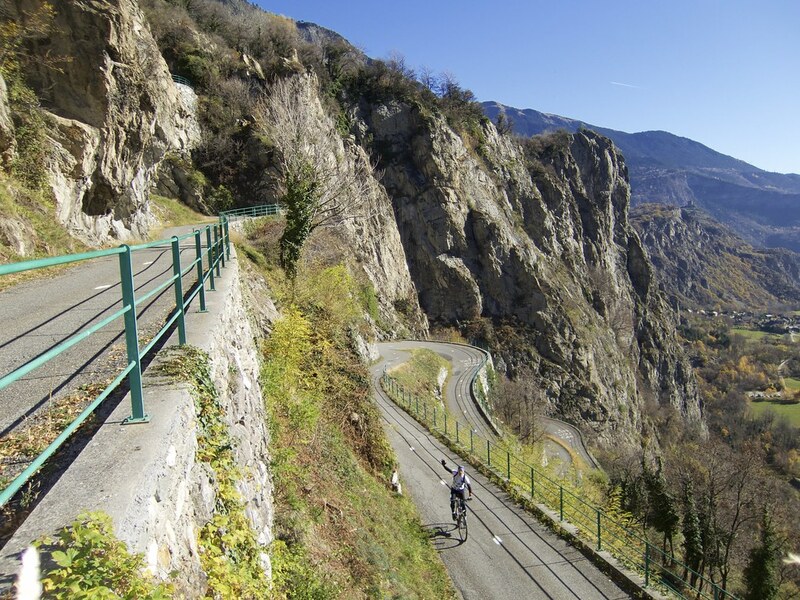 Once can descend via the D99 down to approximately 850 metres, joining the famous, main road to Col de la Madeleine – this makes a fully paved route perfect for road bikes. But I had my hybrid, and instead turned up at Bonvillard to follow a truly superb alternate route to Madeleine via Lac du Loup (Wolf Lake). 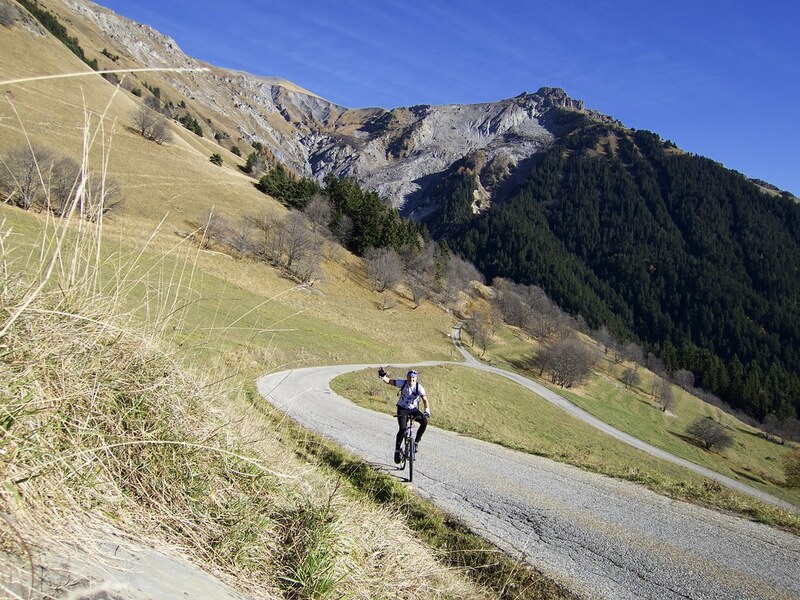 The road is paved until perhaps 1600 metres, then becomes a good quality gravel road – lots of fun. 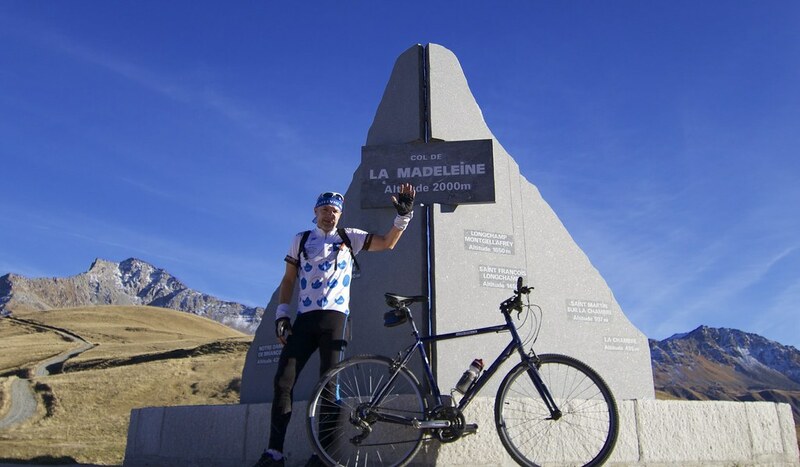 At La Traverse, the route effectively summits the crest into the next valley, the valley with Col de la Madeleine. The next couple of kilometres cross through the ski slopes, finally joining the paved road to Madeleine at the second last hairpin. Leaving 2+ tough but lovely kilometres to the summit. Strangely, there is some anti gay marriage graffiti on the road. Boo. 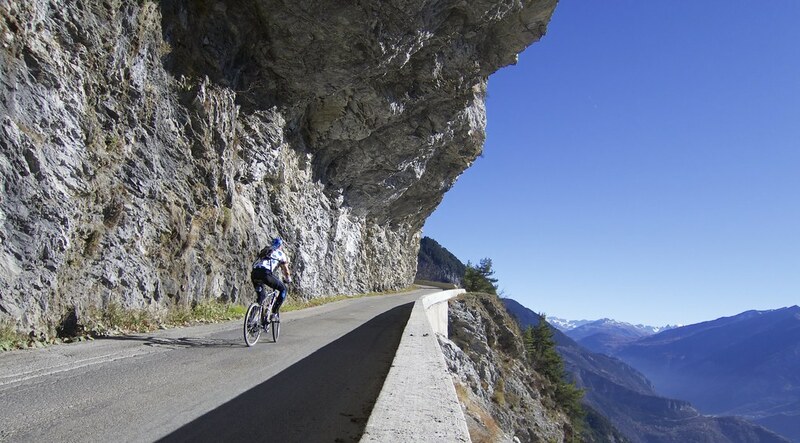 For details of all three road bike routes to Col de la Madeleine see here. 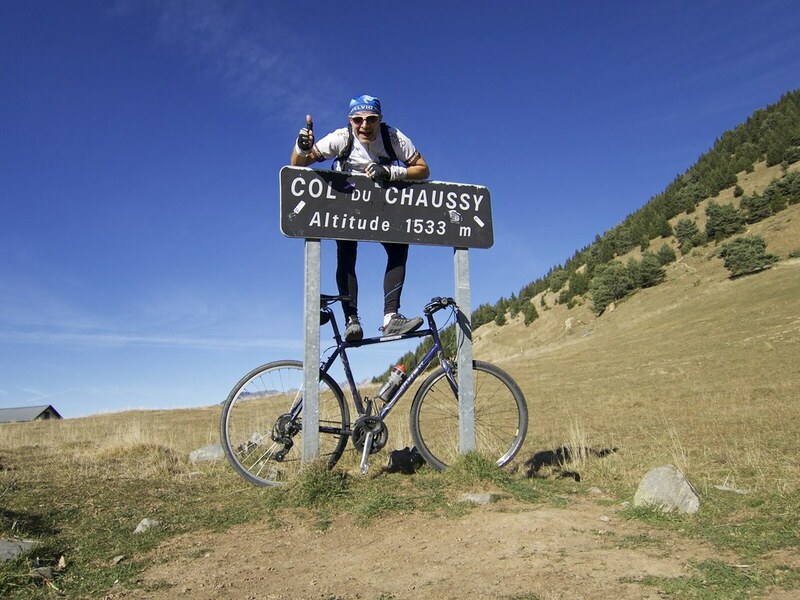 Finally, it was a crazy, 40 hairpin descent, down the south side of Madeleine to La Chambre. If you like descents, this is a good one. 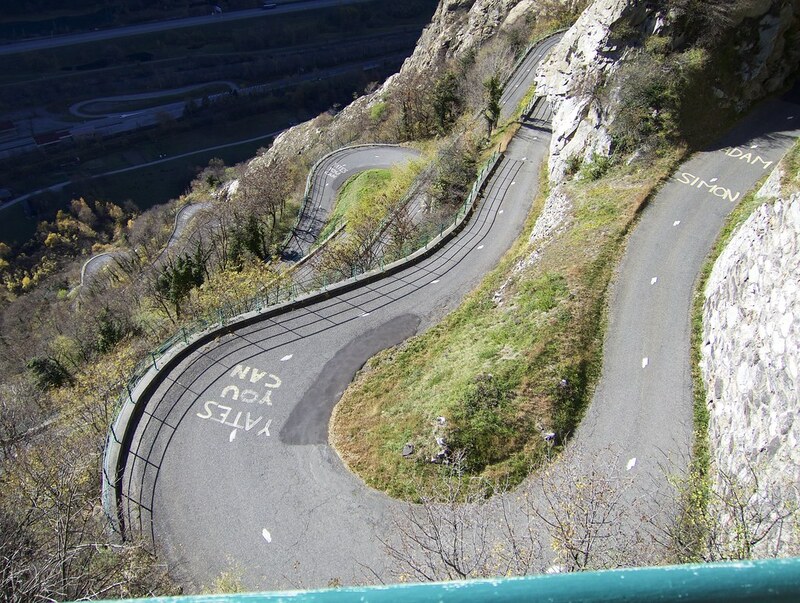 This loop is tough, and most people will try it for the experience of climbing the amazing Les Lacets de Montvernier. 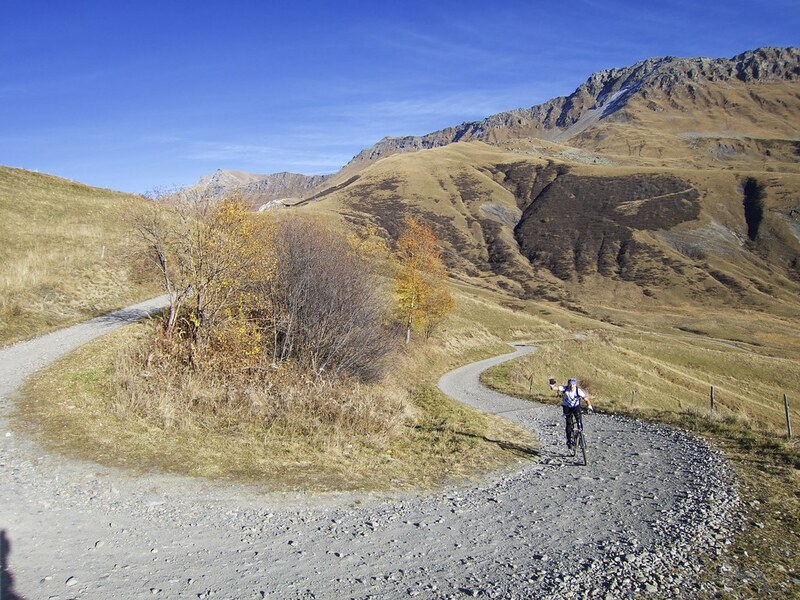 But for me, the unpaved route to Madeleine via Lac du Loup is what makes this route special. 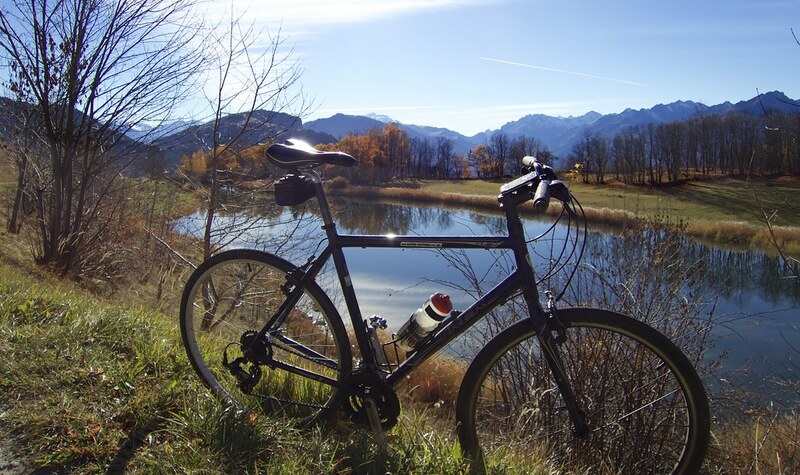 Is the Wolf Lake gravel road possible on a road bike? Hello Mikkel, The road is fine until the lake, but steadily gets rougher and rougher. Especially the cross over into the Madeleine valley I think is far too rough for a road bike. How many kilometers of gravel road? We’re going over tomorrow to do the same loop you did via the gravel. Is it fairly straightforward from where you turn off at Bonvillard? ie, do we need to take note of any particular spots/turns where it might be confusing? Hi Phil, No, it is fairly straightforward. Just don’t fly by the intersection as you’re descending. I “think” there is a sign saying Lac de Loup there, but regardless it is a fairly big intersection. 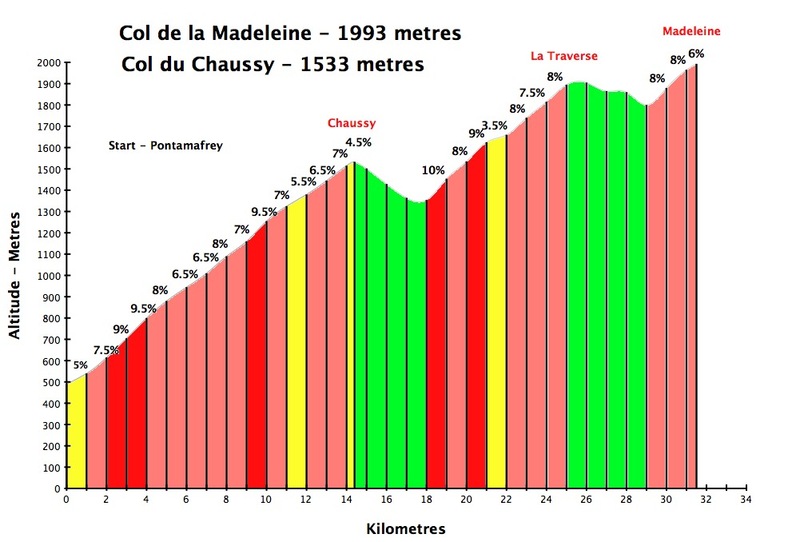 Later when you reach La Grolle (marked on map) and cross into the valley with Madeleine. Don’t be in a hurry to descend down, turn right and stay on the ski station road for some time, eventually aiming for the main road at a hairpin below. Enjoy, it is a great route.